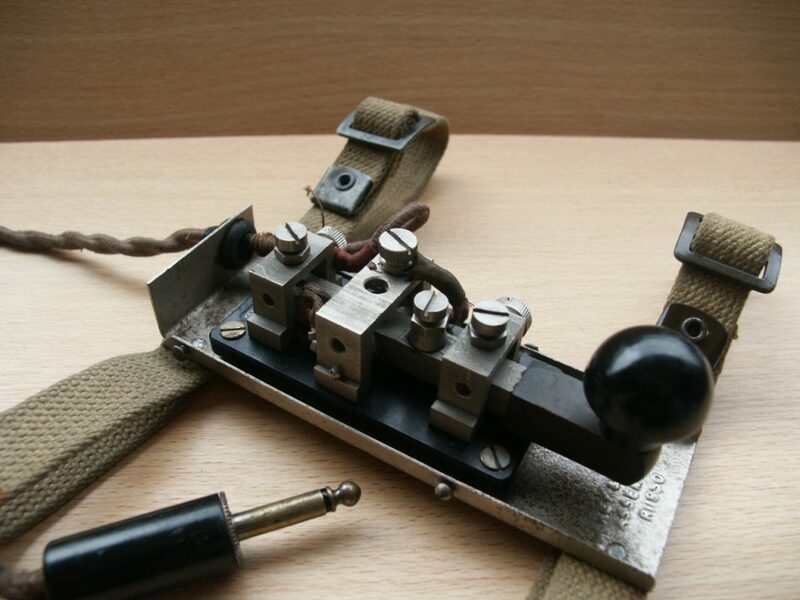 On this page you will find various Morse keys, officially called “key & plug assembly no…”. These keys were used together with the wireless sets shown on my site. It has a built-in “Send / Receive”-switch. 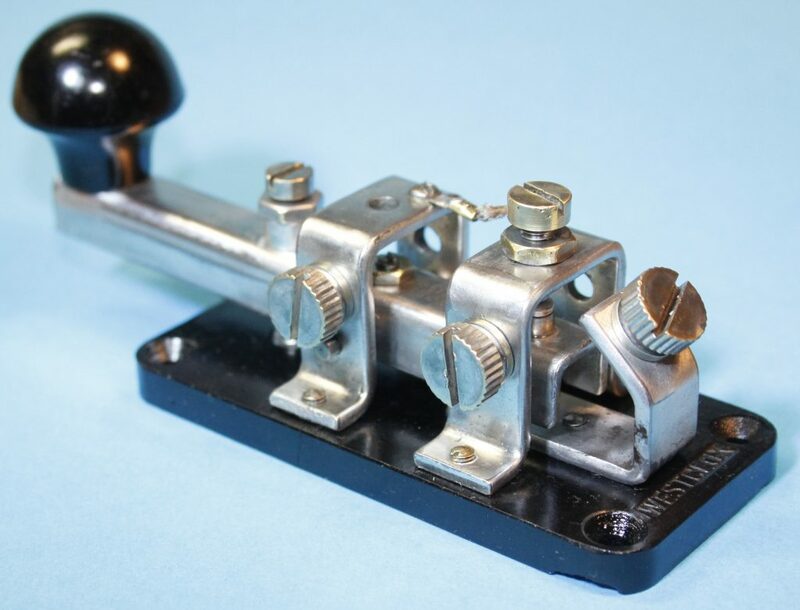 This key was issued with wireless sets 18 en 68. In this particular unit, the Send / Receive switch is not used. 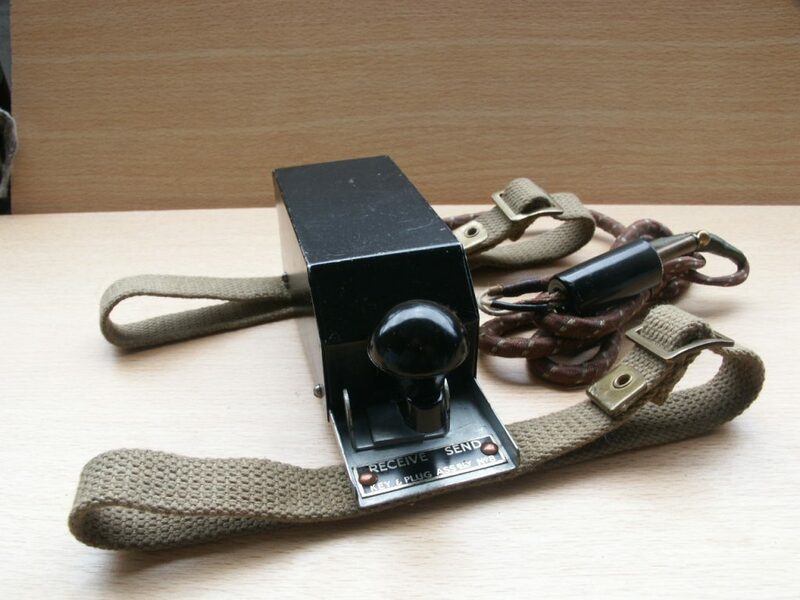 The cable is modified with a standard PL-55 plug, the wires coming from the switch are disconnected. Thus modified, it is no longer original nor dedicated and can be used with a WS19 or any other set, using a 6,3 mm jack plug. At the back, a brass pipe is mounted. 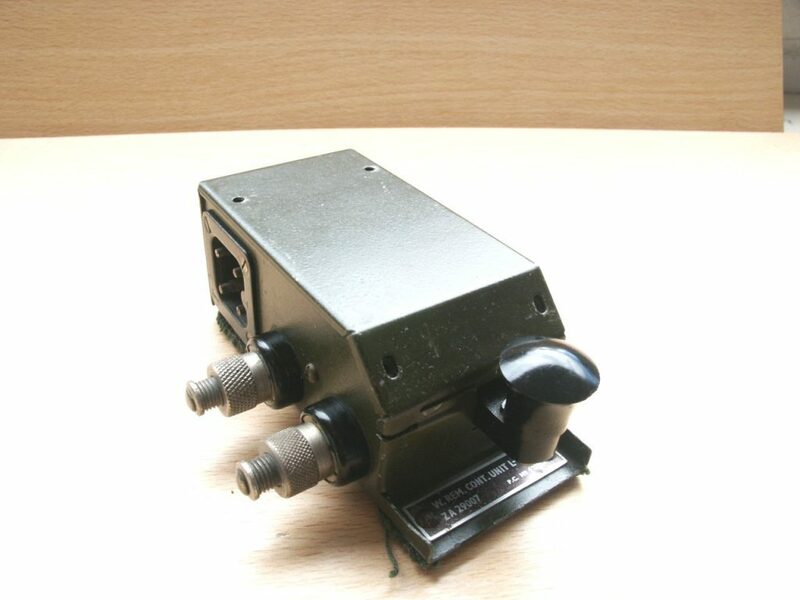 It is for storage of an antenna wire adapter used with the WS18. 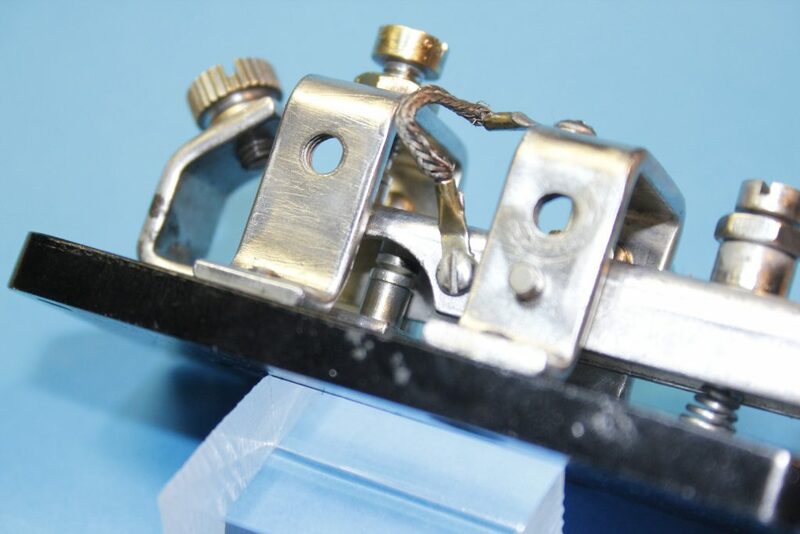 This adapter goes in the antenna mount, at the side of the WS18 an facilitates the mounting of a wire antenna. 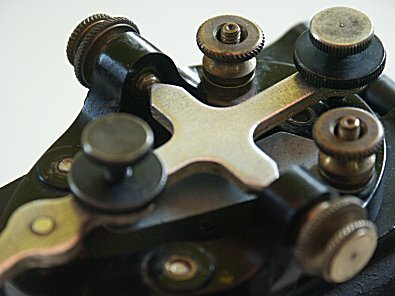 Note that the entire key is made of Bakelite, all others on this page are made of steel. Made by WESTCLOX. This key is found in the “case spare parts no. 5 C” as supplied with the WS 19. It was also supplied with WS 52. 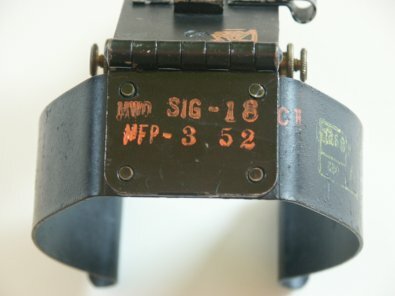 The plug is marked “PL-55”. The canvas straps are different in size: the biggest strap fits the bigger part of the thigh. One has to think of everything! I don’t know yet to which radio this one belongs. Inside is the “standard key”. Notice the different angled “U”-shapes. On it is an inscription: “Key WT 8 amp no.2”. This device I picked up on a flee market. I paid a non-flee market price, however. It belong to the WS 62, which I am restoring. 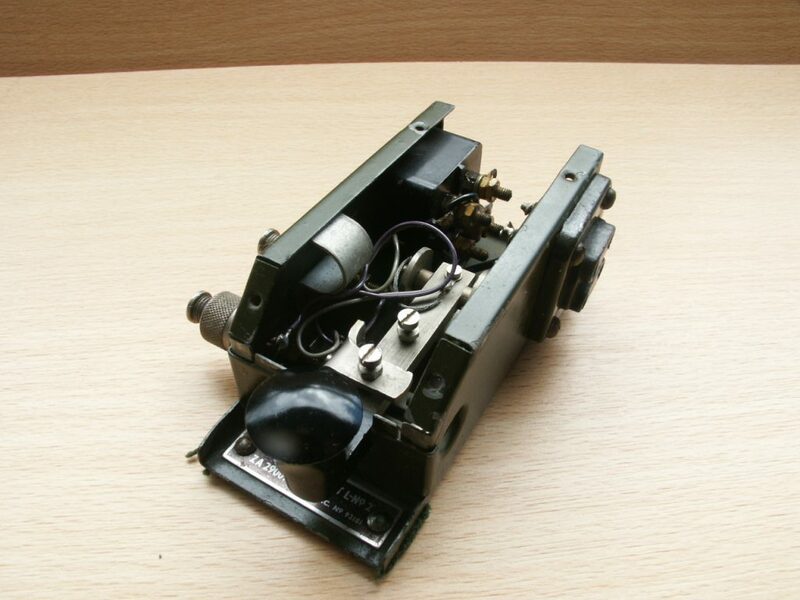 In fact, to the WS62 it is a “Remote Control” unit. 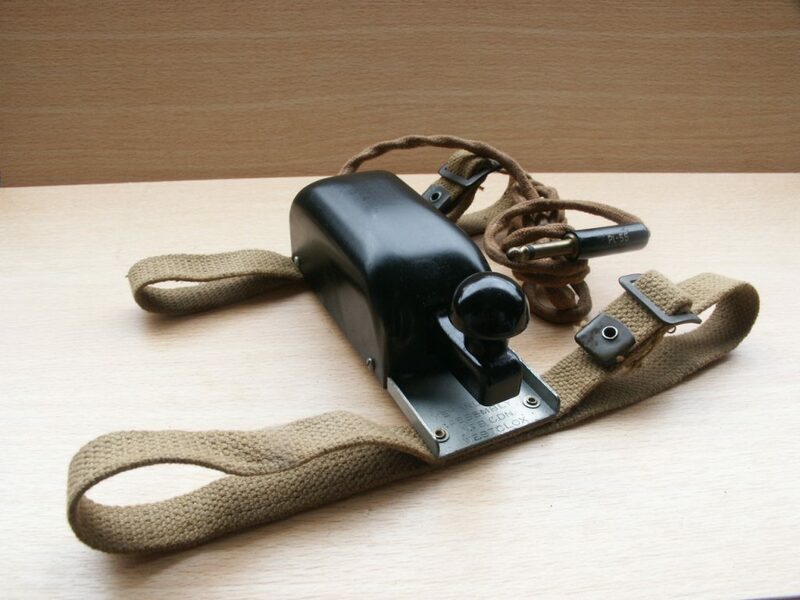 Unfortunately, the previous owner cut off the webbing leg straps and he also changed the wiring. He lost the screws as well. In time this will be restored to original. 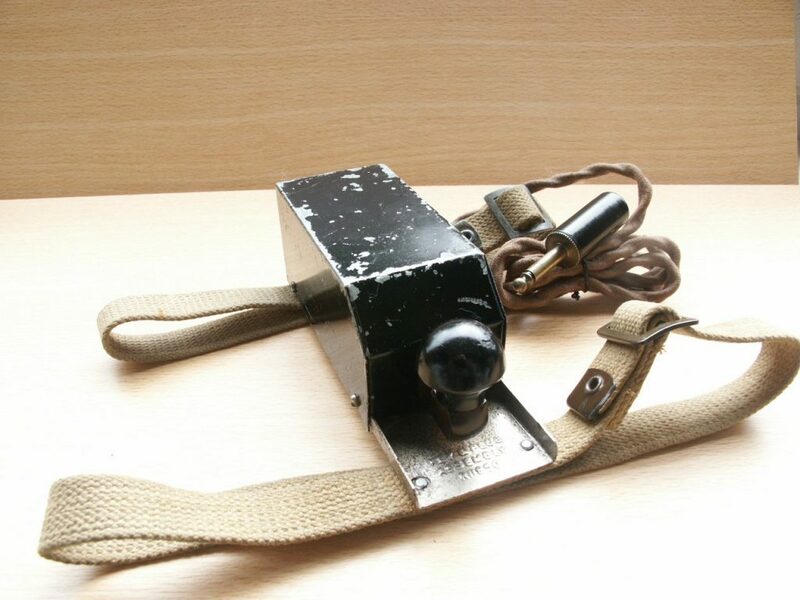 This is the standard key and is used on a Wireless Remote Control Unit no. 1 (CANADIAN). This one was completely jammed by corrosion. I took it apart, cleaned and reassembled it. It works well, again. Using this key on the Wireless Remote Control Unit no. 1 (CANADIAN) could result in a high voltage strike, when connected to the WS 19. 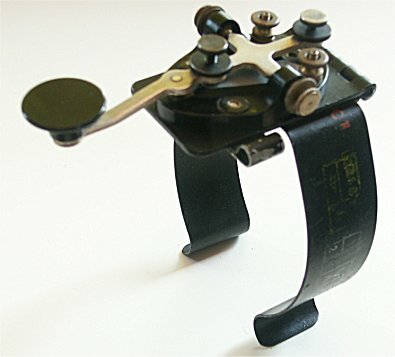 The metal parts carry high voltage when transmitting CW. Later models were fitted with a insulating cover. It was used with AN-GRC9 (Angry-Nine) and many other sets. 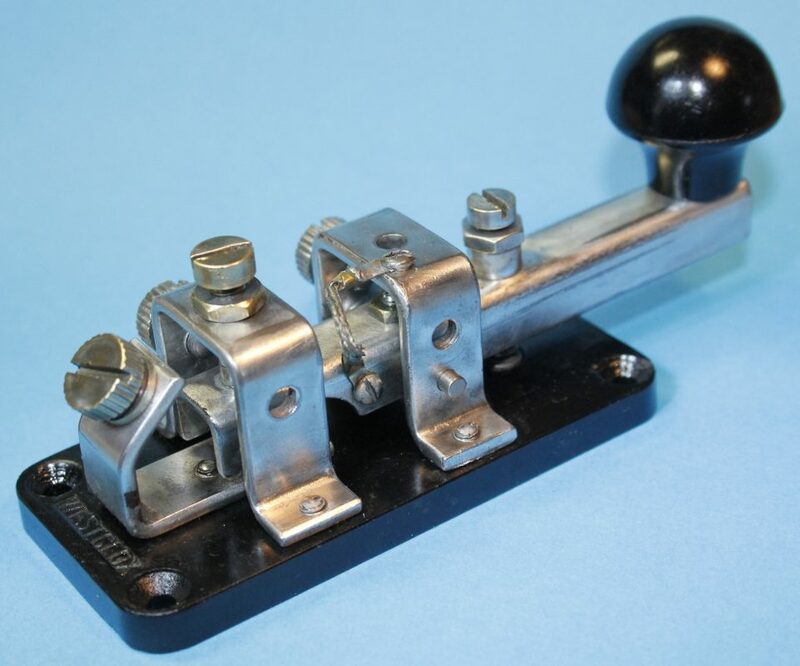 The key itself is typed J-37, a very common type, but mounted on a spring steel leg clamp it is designated J-45. The original cable is missing. This key is used, clamped on the knee. Many operators complained about the blood circulation in the leg being cut off. After 30 – 45 minute in use, one gladly takes it of the leg. 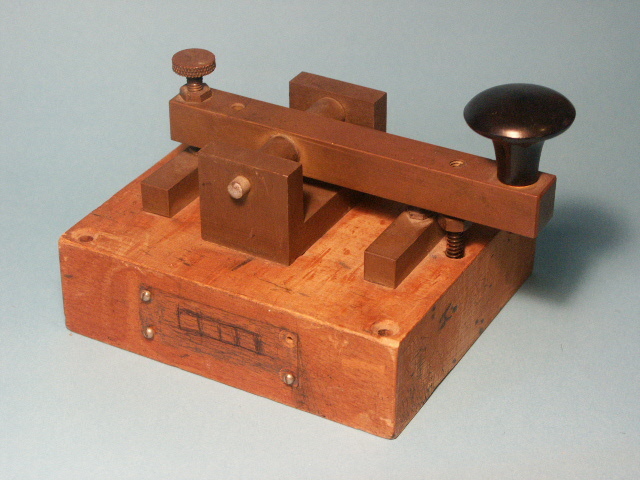 The construction of the key itself, has become a template for many later models. All parameters are adjustable to the operators wishes: pressure of the bearings, spring pressure and contact gap. Production stamps. Manufactured in month 3 of the year 1952. SEINSLEUTEL INSTRUKTIE J-44395805-17-039-4197 VR 2200.8872.11. 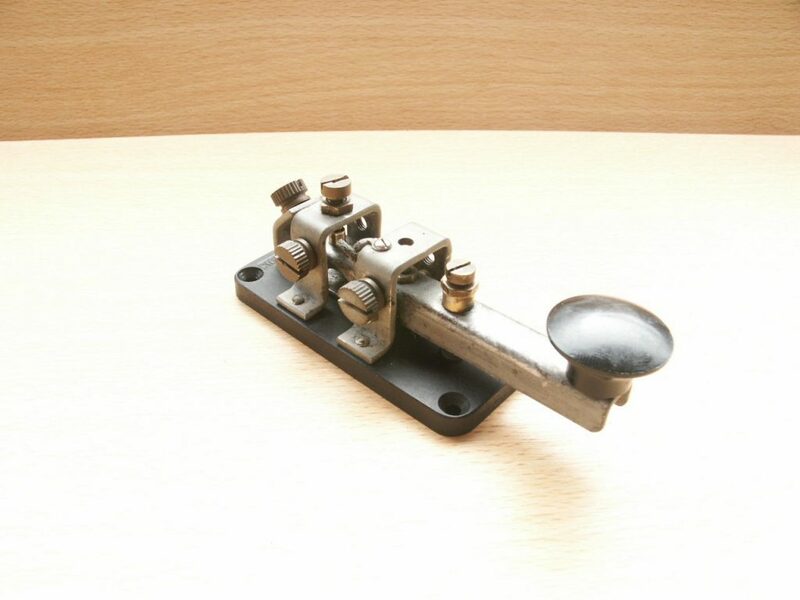 “For Sale: My old brass key with which I once obtained my diploma radio operator/telegrapher. Thanks, Chris. I won’t tell anyone. Its a very solid key that will last for at least another century. 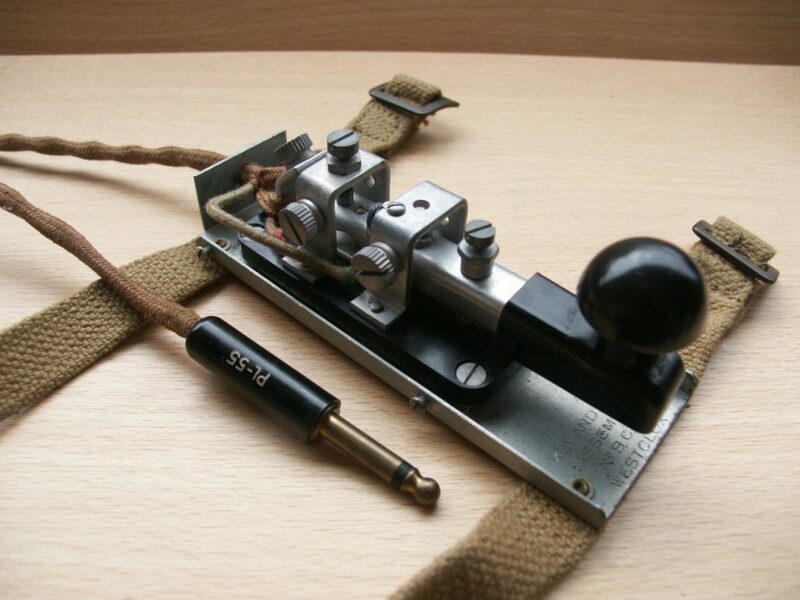 This is a key I obtained at the Rosmalen Radio Flea market, on March 12, 2011. I had been looking for such a key for along time. Why? I will tell that story on a different page, “The Ernie Simmons Story”, click the link on the bottom of this page. 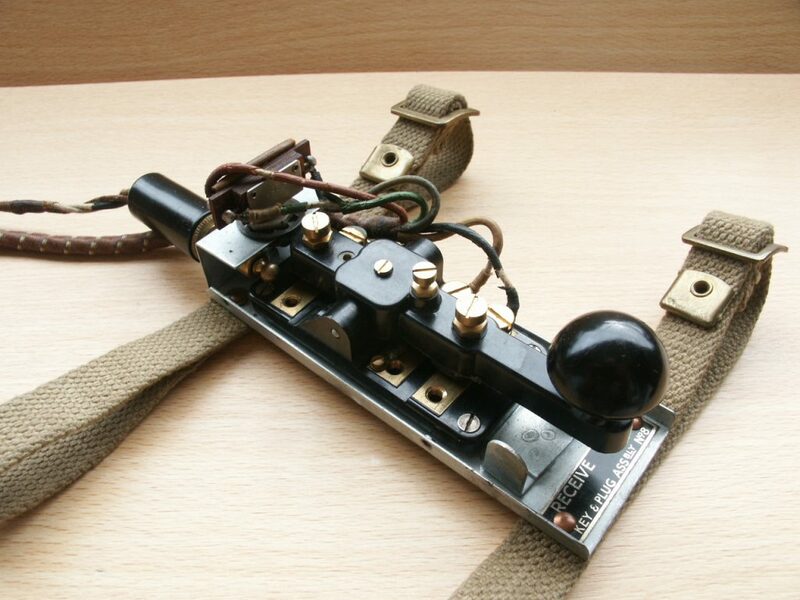 This key’s housing is made from Bakelite and its design is water and spark-proof. So it was used in environments where sparks could cause explosions, as on board of planes. It was used on most wartime planes. Some photos of a fine example of a “Key WT 8 amp no.2“. This one I took apart and polished it with a fine rotating steel brush, mounted in a motor tool. 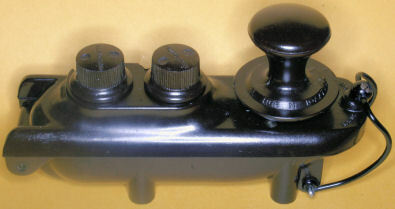 The Paxolin knob and base were treated with a special cleaning and preserving oil.